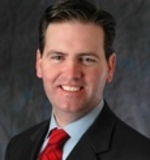 Our Campaigns - Candidate - John M. Tobin, Jr.
Name John M. Tobin, Jr.
Info Boston City Councillor John M. Tobin, Jr. was elected as the District 6 representative to the Boston City Council in 2001. He was re-elected in 2003 and 2005. His district includes the neighborhoods of West Roxbury, Jamaica Plain and Roslindale. Councillor Tobin is chair of the council's Education Committee and the Committee on Arts, Film, Humanities & Tourism. He is also Vice Chair of the committees on City & Neighborhood Services and Intergovernmental Relations. Since taking office, Councillor Tobin has focused on improving the quality of life in Boston for individuals and families in his district and across the city. One of his top priorities is ensuring that every young person in Boston has access to a quality education. A strong proponent of neighborhood schools, Councillor Tobin has worked closely with the Boston Public Schools (BPS) and the Boston School Committee to reassess how students are assigned to the public schools. Last year Councillor Tobin developed his own recommendations on how to improve the process.